When the right house comes along, you often fall in love at fist sight. Gehan Homes strives to build for this feeling with every new home. With award-winning designs and years of experience, Gehan communities have been winning over the hearts of Texans since the very beginning. With modern conveniences, luxury features and green building techniques, Gehan has come to the forefront of new home building in North Texas, challenging other new home builders to also design with the same strength and consistency. What's the secret to designing the perfect home? Gehan believes every customer is different and has their own idea of a beautiful forever home. Every new home is designed with customer's needs, enjoyment and lifestyle in mind throughout the process. That's how Gehan has been able to make hundreds of families into living testimonials of a dream come true. The housing market in Dallas - Fort Worth recently went through a massive change. Houses in prime real estate areas across the Texas barbecue capital have become available at affordable prices. Gehan has built homes for hundreds of Ft. Worth residents and knows the difference between building something ordinary verses building something unique. With a varetiy of different floor plans and customized features, Gehan builders allow customers to really pick out a home that is personalized and meets their lifestyles perfectly. Made with superior materials, homes are built by skilled craftsman, who know the key to building a great Dallas home for the future means understanding the often harsh natural elements and building a structure that can withstand anything and look beautiful in the process. 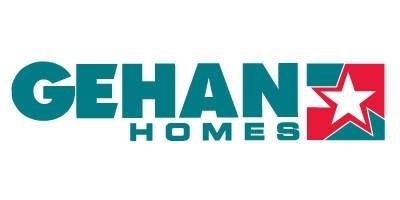 That's one of the main reasons that customers frequently refer Gehan Homes over any other new home builder in the area. Materials and quality stand out when looking at new homes. Just because a home is built with modern design doesn't mean that it has to be built cheaply. In addition, just because you want to offer an affordable price doesn't mean you need to cut corners. Gehan builders pride themselves on creating homes that demonstrate strength from the inside out. Whether you want to look at the current new homes for sale or you're interested in a new construction project, Gehan Homes has always found that making homes intelligently can lead to greater savings while also maintaining the exquisite details that give off that wow factor. With communities and homes across the Dallas - Fort Worth area, you can find Gehan properties in several prime locations, including Frisco, North Richland Hills, Mesquite, Little Elm and many others. Check out all the new homes for sale online or stop into the design center to see what floor plans are available for a new construction project.